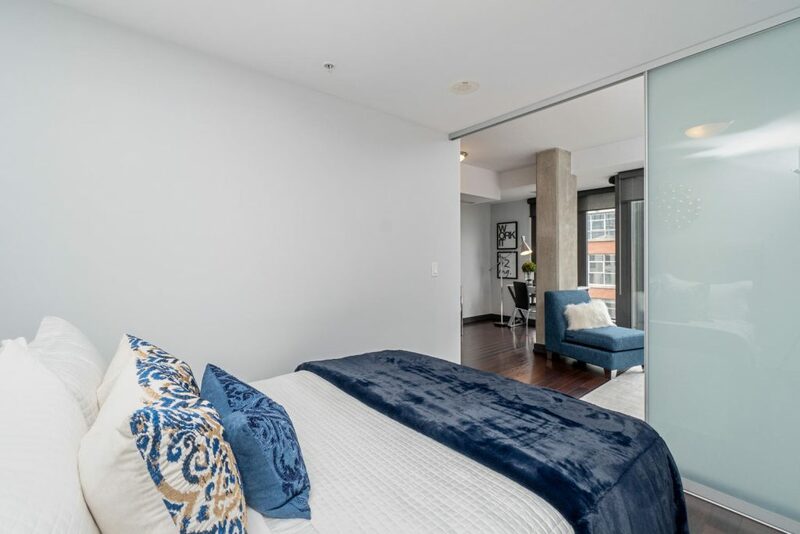 Rarely Available Loft At The Modern Boutique-Style ‘Thirty-Two-Camden’. 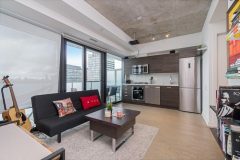 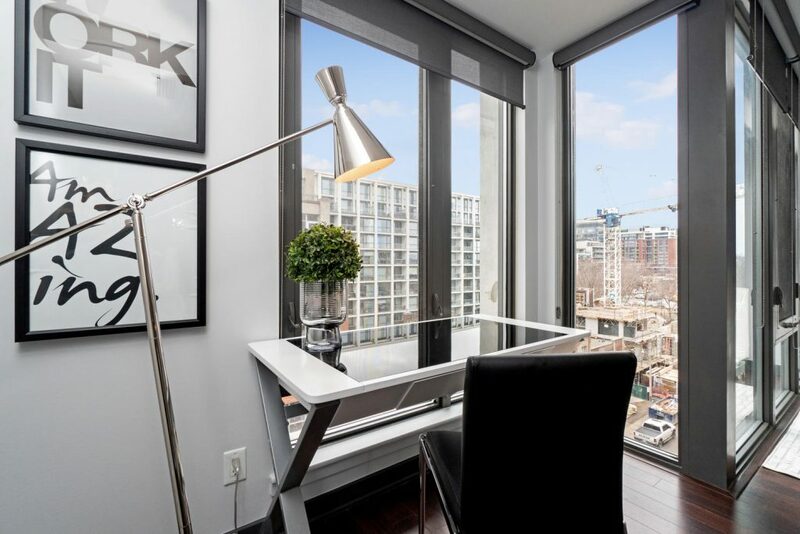 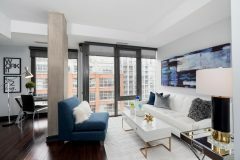 Approx 600 Square Feet, One Bedroom Plus Open Den Tucked Away In The Heart Of The Entertainment District At King West. 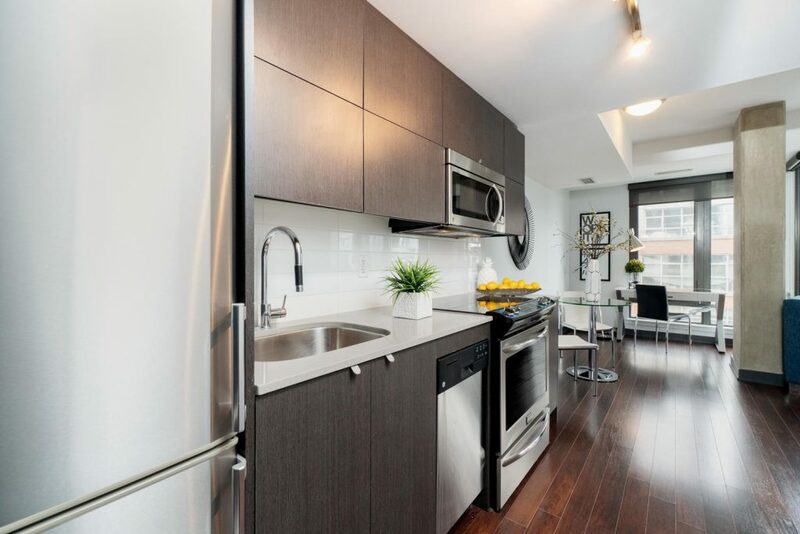 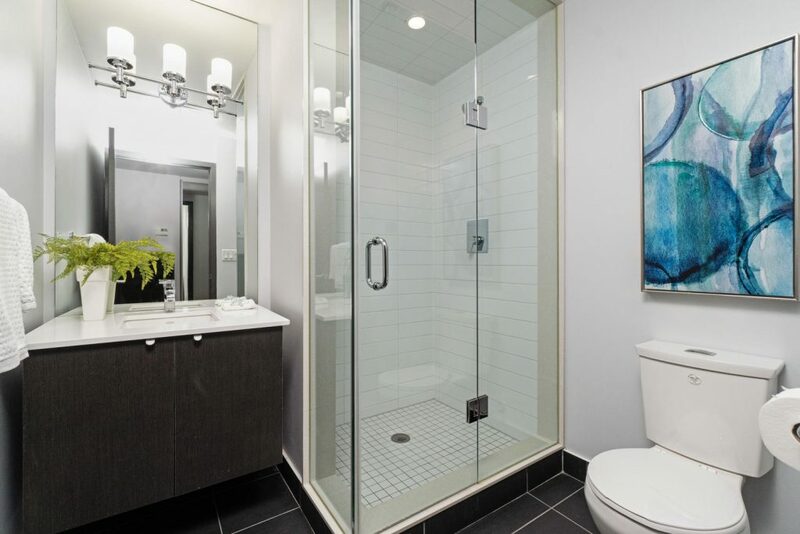 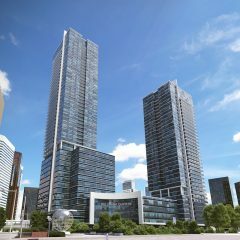 Steps To City’s Best Restaurants & Amenities, Rogers Centre, Cn Tower, Ttc+. 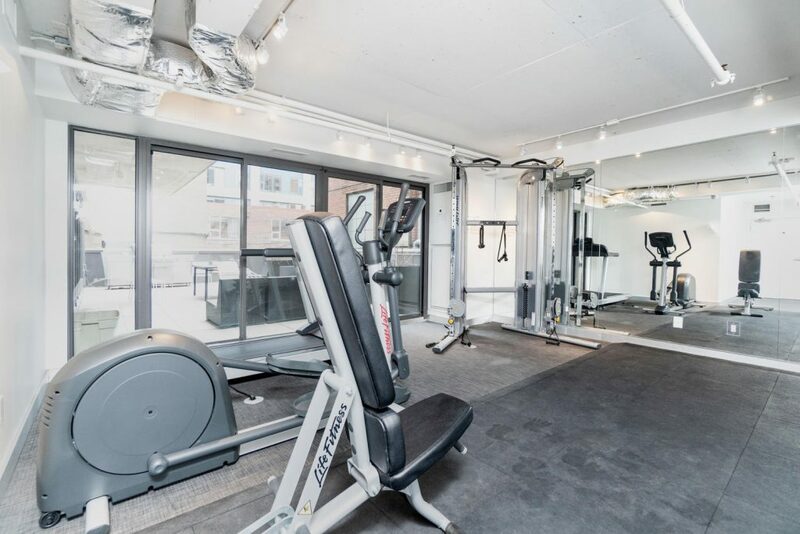 Party Room W/Walkout To Terrace And Common Bbq Area, Bike Storage, And Visitor Parking. 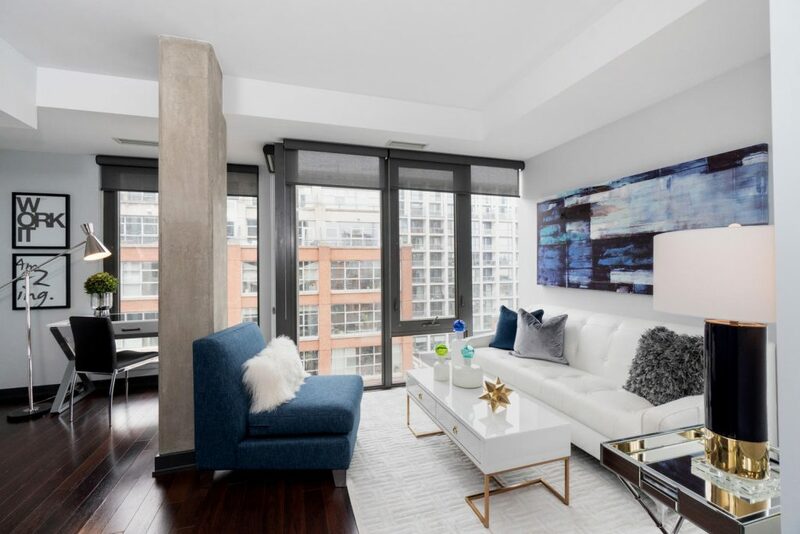 Extras: Beautifully Finished Corner Suite With Extra Windows For Added Light, Wood Flooring, Smooth Ceilings, Floor-To-Ceiling Windows, S/S Fridge, Stove (New), Dishwasher, Built-In Microwave. 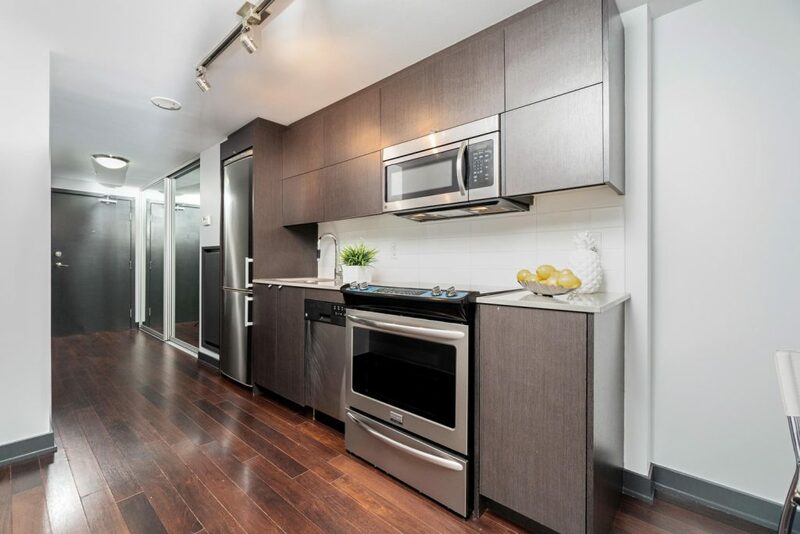 Stacked Washer & Dryer.